For a few years now, China has prepared itself to be independent of the dollar through the establishment of their CIPS alternative platform to SWIFT. And as of this month, we can also add Russia to this list as they appear to have completed all necessary testing of their own alternative messaging platform. With testing taking place back in December between the banking system and Russia's largest oil company, Moscow believes they are fully prepared for either the ending of the dollar as the global reserve currency, or in the case that the West deciding to sanction them with greater severity, to be able to function outside the current monetary standard. A Russian equivalent of SWIFT was tested by Rosneft in December, Gazprombank Vice-President Andrey Korolyov told TASS news agency. It is the first time that the Russian SWIFT analogue has been used by a huge corporation since its introduction in 2014. 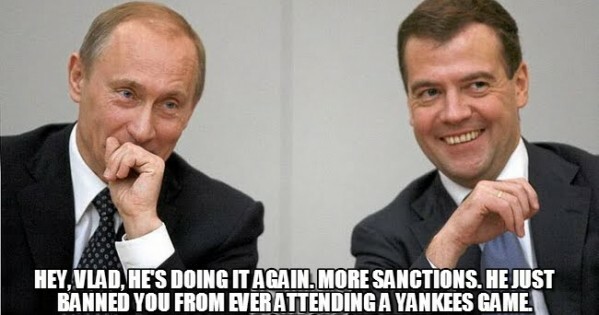 The potential exclusion of Russia from SWIFT has worried the country’s banks since 2014, when the EU and the US introduced the first round of international sanctions against Moscow over alleged involvement in the Ukraine crisis and the reunification with Crimea. However, SWIFT itself has fended off such talks.